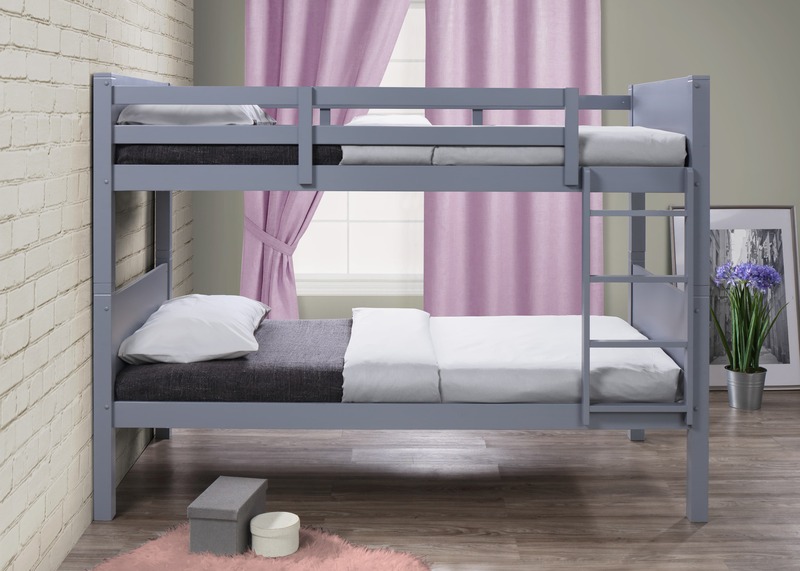 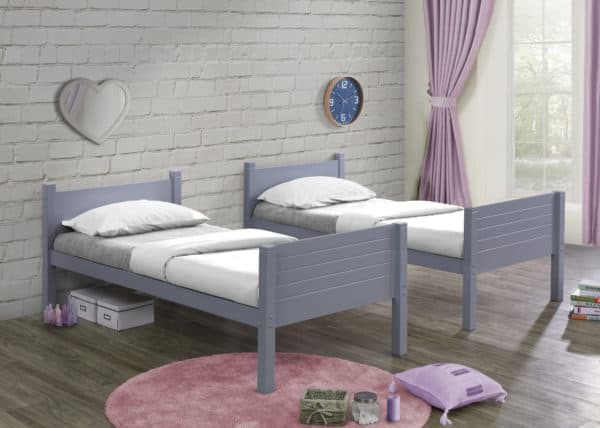 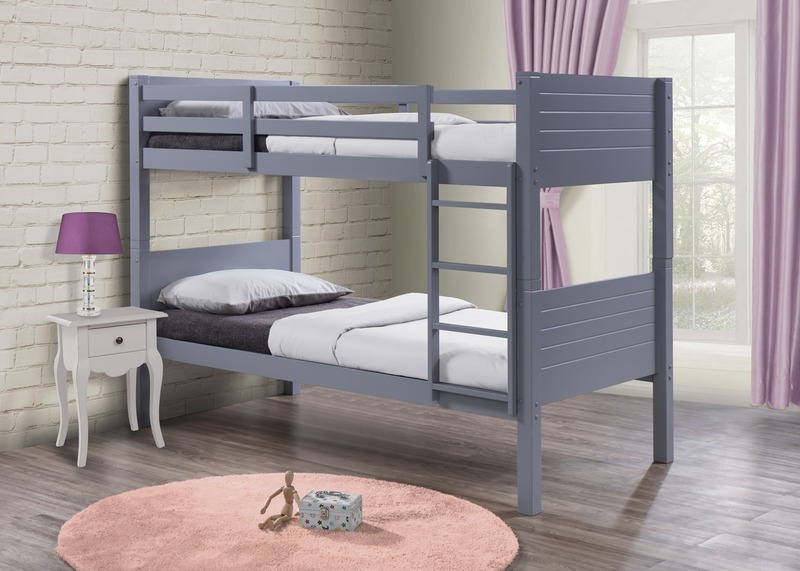 A timeless classic and great fun for the children, the Dakota bunk bed is a practical space-saving solution for the children’s bedroom – available in either white or grey. 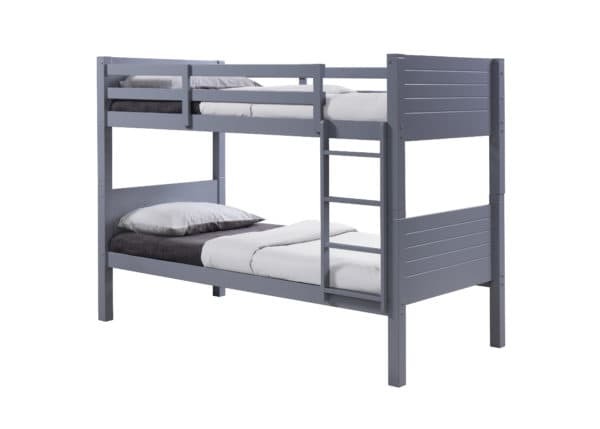 The Dakota bunk bed can also be used as two separate single frames.  The maximum mattress height to be used is 160 mm. 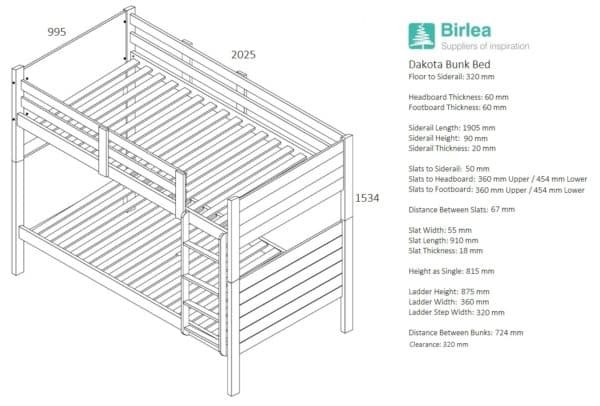 The maximum load baring per bunk for the Dakota bunk beds is 120kg.